The relay in automobile tracker is an automated electrical switch that operates on electromagnetic induction. 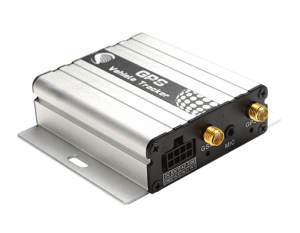 A relay with automobile GPS locator is an electronic control device that has a control system (also called an input loop) and a controlled system (also called an output loop). It is usually used in an automatic control circuit. It actually uses a small current to control the larger “automatic switch” of current. Therefore, it plays the role of automatic adjustment, safety protection and conversion circuit in the circuit. Electromagnetic relays in automobile tracker are generally composed of a core, a coil, an armature, a contact spring, as long as a certain voltage is applied to both ends of the coil, a certain current flows in the coil, thereby generating an electromagnetic effect, and the armature will absorb the pulling force of the return spring against the iron core under the action of the electromagnetic force attraction, thereby driving the armature, thereby, the movable contact of the armature is brought into contact with the stationary contact (normally open contact). When the coil connected GPS tracking devices for automobiles is de-energized, the electromagnetic suction force also disappears, and the armature returns to the original position at the reaction force of the spring so that the movable contact is attracted to the original static contact (normally closed contact). In GPS automobile location tracker, by sucked and released, thereby achieving the purpose of turning on and off in the circuit. When the relay is working, the electromagnet is energized, the armature is sucked down to bring D and E into contact, and the working circuit is closed. 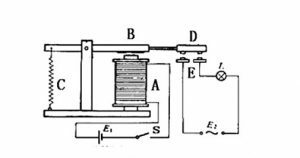 When the electromagnet is de-energized, it loses its magnetism, and the spring pulls the armature and cuts off the working circuit. Therefore, the relay is a switch that uses an electromagnet to control the on and off of the working circuit. Benefits of using relay control circuits: control high voltage with low voltage; remote control; automatic control. For automobile tracker, The relay is used in the function of the engine cut. Very advantageous for vehicle theft prevention and efficient vehicle operation.